SEGA has revealed some in-depth details on its customisation options for Team Sonic Racing in a brand new teaser trailer. 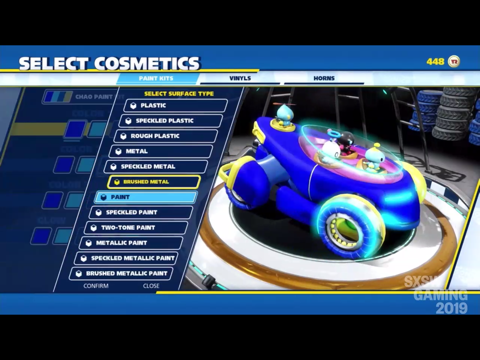 The game will allow you to customise a whole range of parts on your car, as well as the paint/colour scheme, decorative vinyls and even the horn. 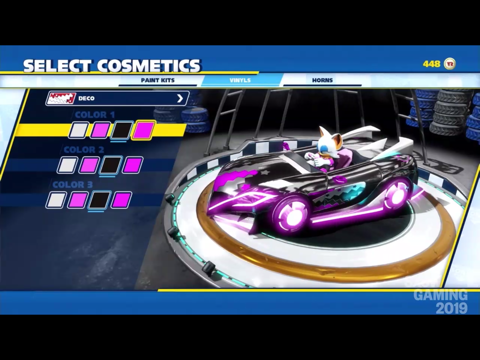 The ‘Sonic Paint Kit’ is a feature in which players can pull from a range of colour schemes from other character racers, meaning Sonic can race with Shadow’s flagship hues if you so desire. There looks to be a huge range of actual custom parts to unlock and attach to your vehicle too – there are various categories of part, from Front of car items to Rear gears and even original Wheel designs. We have seen images of Sonic’s car featuring a ‘Hyper Engine’ for his Front, ‘Turbo Jets’ for his Rear and ‘Sonic Spinners’ for his Wheels, which we imagine will give him quite a different driving experience from the default settings. 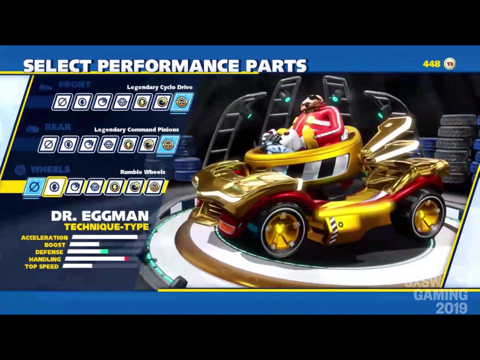 You can unlock gold parts for your car, which are said to be rare items that will assumedly supercharge your vehicle. More details – will be included here as this story develops. In the meantime, watch the trailer below. < Previous Post Previous post: Watch the SXSW 2019 Sonic Panel here on TSS! When I first saw the car designs, few impressed me, and a worrying number I found to be outright dull and uninspired. But now I see how much depth and variety they’ve put into the customisation, maybe the blandness of the base designs is deliberate, as it’d encourage people to customise their cars. And it makes the already poor Forces character customiser look even worse in comparison.